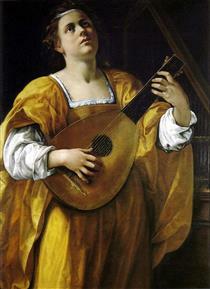 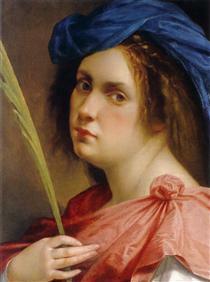 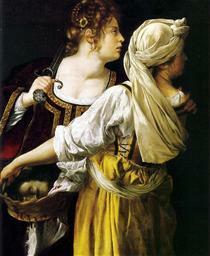 Artemisia Gentileschi (Italian pronunciation: [arteˈmizja dʒentiˈleski]; July 8, 1593 – c. 1656) was an Italian Baroque painter, today considered one of the most accomplished painters in the generation following that of Caravaggio. 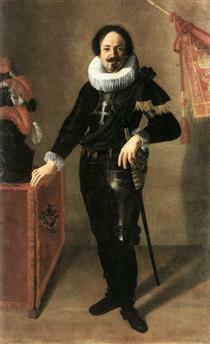 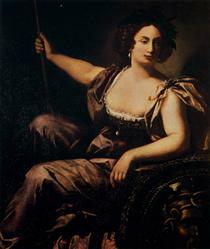 In an era when female painters were not easily accepted by the artistic community or patrons, she was the first woman to become a member of the Accademia di Arte del Disegno in Florence and had international clientele. 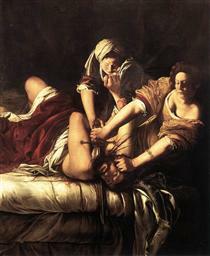 She specialized in painting pictures of strong and suffering women from myths, allegories, and the Bible- victims, suicides, warriors. 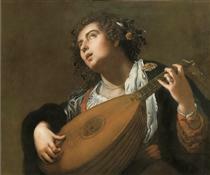 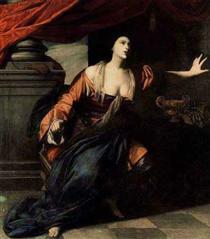 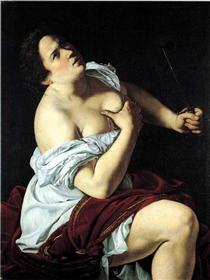 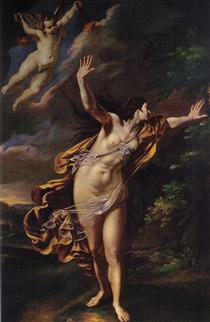 Some of her best known themes are Susanna and the Elders (particularly the 1610 in Pommersfelden) and Judith Slaying Holofernes (most famous is her 1614-20 in Galleria degli Uffizi) and Judith and Her Maidservant (her version of 1625 at the Detroit Institute of Arts) that scholars currently know of. 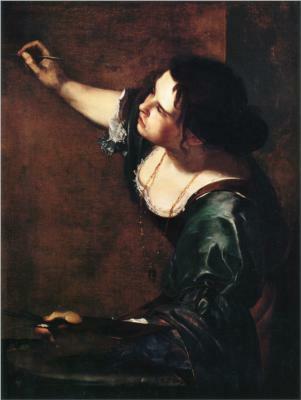 Artemisia Gentileschi was born Artemisia Gentileschi-Lomi in Rome on 8 July 1593, although her birth certificate from the Archivio di Stato indicated she was born in 1590, the eldest child of the Tuscan painter Orazio Gentileschi and Prudentia Montone. 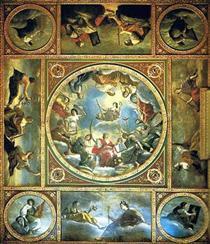 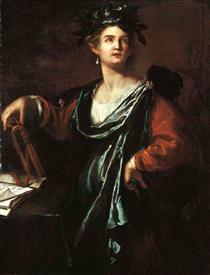 Artemisia was introduced to painting in her father's workshop, showing much more talent than her brothers, who worked alongside her. She learned drawing, how to mix color, and how to paint. 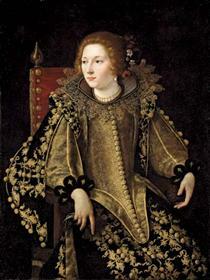 "By 1612, when she was not yet nineteen years old, her father could boast of her extraordinary talents, claiming that in the profession of painting, which she had practiced for three years, she had no peer"